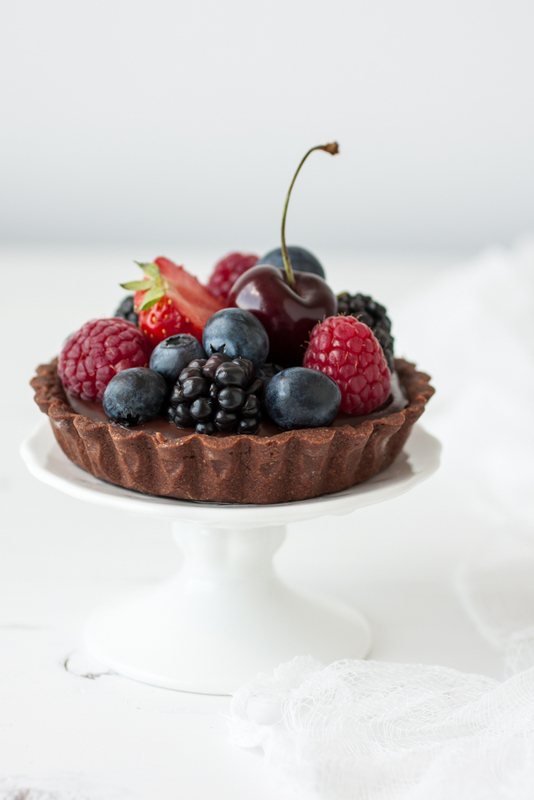 I love tarts with fresh berries, they are easy to bake and look absolutely fantastic! 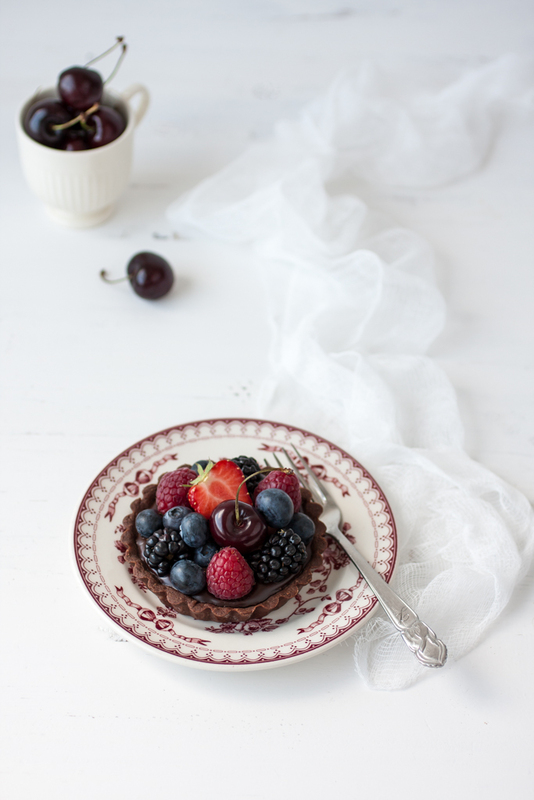 The most popular recipe on my blog so far is this wonderful tart with mascarpone and berries. 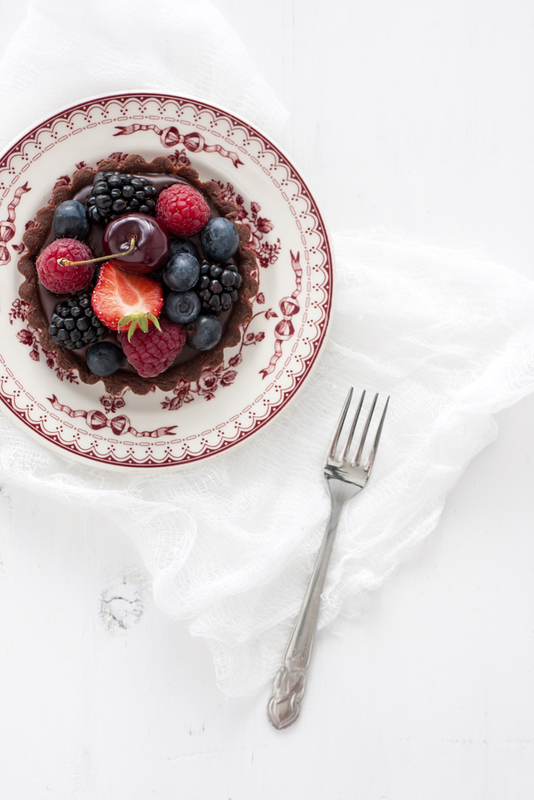 And no wonder: crispy crust, rich cream and berries combine in a treat that's twice as delicious as the sum of its parts! 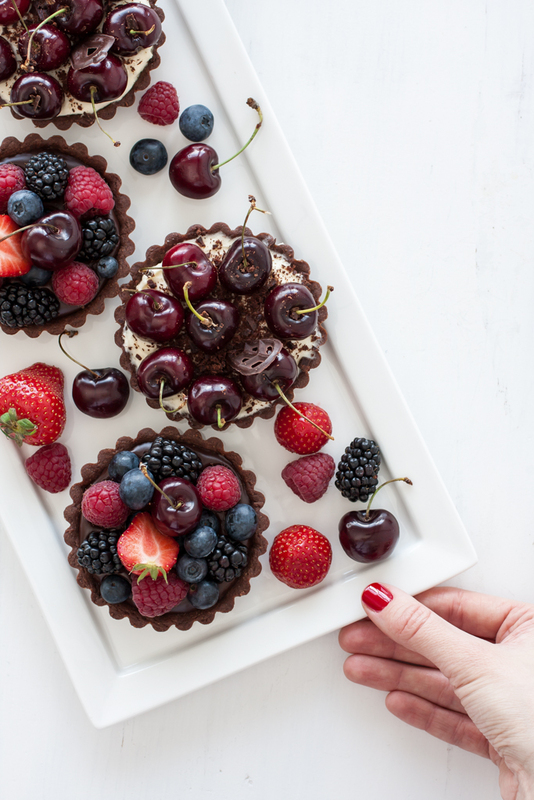 This time I decided to bake mini tarts, mini everything is better, don't you think? 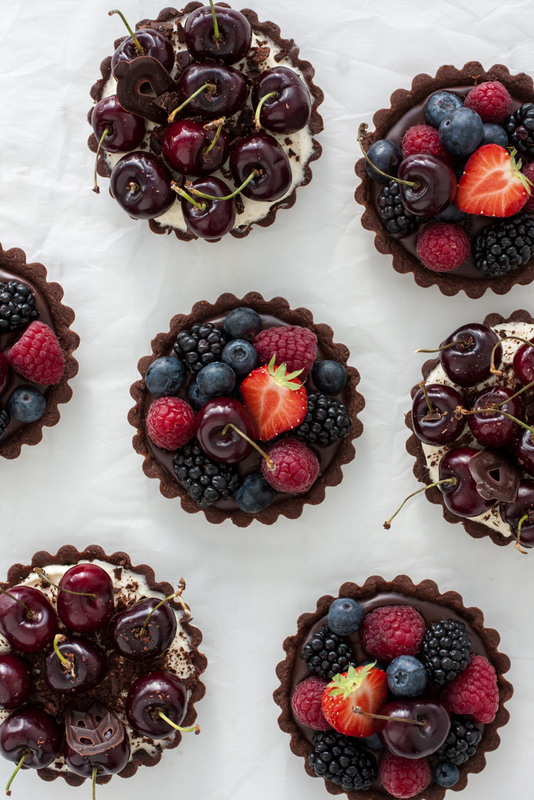 They look so cute, plus you can easily make two different tastes to keep everybody happy. 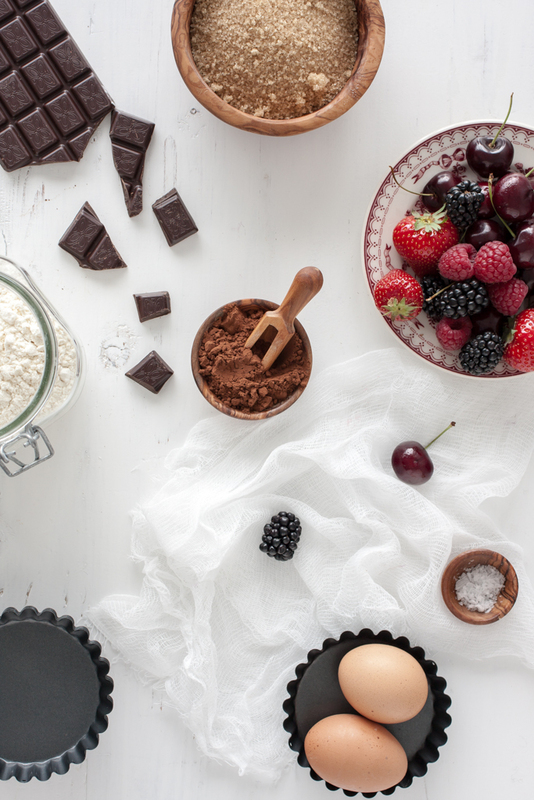 With chocolate ganache, berries and fruits for girls, mascarpone cream with cherries for boys or another way around, it doesn't matter. Everybody would love them, trust me.